MK Yoni Chetboun links Holocaust Memorial Day with the present-day realities of French Jewry, vows to bring more home to Israel. 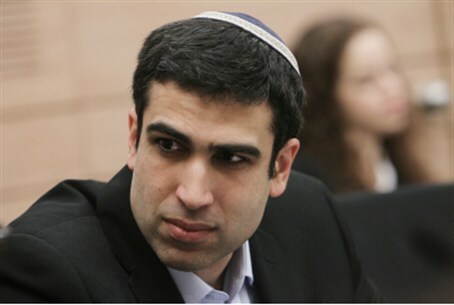 MK Yoni Chetboun (Jewish Home), who serves as the Chair of the Knesset Caucus for French Immigration, left for France on Sunday to represent Israel as part of the Jewish Agency's Holocaust Memorial Day presentation there. Before his departure, the MK emphasized the importance of fighting French anti-Semitism in light of the horrors of the Holocaust. Chetboun linked the increase in French Aliyah over 2013 to a sharp rise in anti-Semitism there. By 2013, the rate of French Aliyah increased by 60%, with over 3,200 French citizens immigrating to Israel. By contrast, he noted, the Jewish Agency expects that number to balloon to over 4,500 French immigrants to Israel by the end of 2014. "Increasing anti-Semitism in France brings back memories of the Holocaust, and turns [commemorating the Holocaust] into something even more crucial," Chetboun stated Sunday. "On Holocaust Memorial Day, we should not ignore the rampant anti-Semitism in the French streets. Israel is a Jewish state, we have a responsibility [to protect] Jews in France." "The past several years have proven that Zionism burns in the heart of French Jewry, and the many waves of French immigrants [arriving here] are living proof," he continued. "We are making preparations now to welcome the new wave of immigrants, please G-d, that we expect to see this summer." So far, French Aliyah has risen by 312% in 2014 - and the number is expected to grow drastically by the end of 2016.